The Yezidi (Yazidi) people have recently made international news in relation to the Iraqi War — a story covered in New Babylon Rising eZine at mardukite.com. 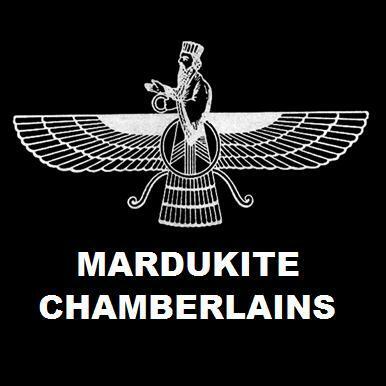 “Yezidi (Yazidi), an unbroken unique gene of middle eastern people extending directly back to ancient pre-Semitic Sumerian Mardukites, practicing a tradition of modern Zoroastrian Yazdânism derived from the monoltry monotheism to Marduk of Babylon observed as Melek Ta’us or Shaitan (Shaytan), have been threatened with genocide in Iraq by the Islamic State (IS/ISIS).” — quoting the Mardukite Blog. From out of His own precious Essence. He then brought forth a bird into being named Anfar. And there it rested for forty thousand years. The First-to-Be, the chief of all. Each subsequent day, an angel to serve Melek Ta’us. On Monday, Dardael came forth, who is Sheikh Hasan. On Tuesday Izrasel came forth, who is Sheikh Shams. On Thursday, Azrael, who is Sajadin, came forth. On Friday, Shemnael came forth, who is Nassurud-Din. On Saturday Nurael, who is Zuriel, came forth. Melek Ta’us was chief over them all. The Invisible One [God] returned to its abode, and acted no more. From this point, Melek Ta’us was left to act alone. And also a veil for the earth, sun, and moon. Placing them in the between spaces accompanied by angels. Melek Ta’us stood before the White Pearl and shouted. It was broken into four pieces. One was placed beneath the earth, and the other was placed at the Gate of Heaven. Suspended in heaven for the delight of the [gods]. the elements: earth, air, fire and water. Divine Spark in each, a “soul” given by his power. Only wheat was he commanded not to eat. So, Adam ate of the wheat. But, after he had eaten, his stomach swelled up. and left him alone, ascended into the heavens disgusted. Adam suffered from the pains in his stomach, because his waste had no outlet. Eve was then created from beneath Adam’s left arm-pit. Kamush, who is King Fakhru’d-Din and Artimus, who is King Shamsu’d-Din. And whose rule was given to last one hundred and fifty years. Through to the present day; And we in turn became divided. SHAITAN – because it is the name of God. Nor also any vocalization resembling Malun, Malek or Nayl. and the Jews, Christians, Muslims and Persians steered clear from our traditions. they have also called among us, Pirbub. And in Constantinople, Aghriqalus was among our own. In a chariot above the waters, He was suspended. and the heavens were condensed for His existence and fixed the heavens to exist without supports. Then the earth was condensed and sealed away from it. Each successively lighting off the light of the other. And he said to the first: “Ascend! and so began the succession of the Spheres [gods].